Forget the pipe-smoking weather forecasters of old, we're different! Okay, so the letters after the name may look impressive, but don't let that fool you; I'm actually a self-confessed weather anorak! As founder of Weather Consultancy Services, Weather School and Weatherweb.net it's my job to oversee operations here at the Weather Centre, advise and guide our meteorologists, and to make sure that you get the very best experience from your Premium membership. My passion is in communication the weather, and having worked in broadcasting here in the UK and Europe, I want to bring great weather to a wider audience. After all, weather is what we all experience every day; its a fascinating subject but, until now, there have been very few outlets to explain how the weather works, why the forecast is as it is and also to explain uncertainties in the forecast. I have an MSc and PhD in Meteorology from the University of Birmingham, but with every day I learn more about the weather. In 2014 I was proud to become a Registered Meteorologist, the professional accreditation for meteorology in the UK and am now a Launch Ambassador for the scheme. This professional award, issued by the Royal Meteorological Society ensures that a meteorologist has undergone recognised training, has the relevant experience, and adheres to a set of professional standards. 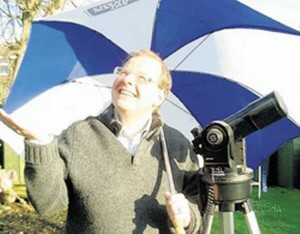 Whether it was looking out for snow during the winter, or being entertained by crazy American news reporters standing in the path of a hurricane, Garry has a long-standing fascination and interest in the weather; including trying to understand the science behind the subject, taking recordings, and attempting to make forecasts. He is also an extremely fair weather golfer, so an accurate weather forecast is a must! Garry completed an MSc in Meteorology and Climatology at the University of Birmingham in September 2013. This included researching the influence of lunar cycles as a potential external forcing mechanism on weather patterns. (See the full list of Weatherweb reporters postings for discussions of this subject). He also has a BA in Geography and Broadcast Media from the University of Derby. In 2014 Garry became one of the first Registered Meteorologists in the UK. This professional accreditation scheme, operated by the Royal Meteorological Society, ensures meteorologists operate to a set of professional standards, undergo continuous professional development, and have the experience and qualifications relevant to the profession. Garry is fascinated by the day-to-day forecasting aspect of meteorology, his knowledge of day to day conditions is invaluable to Premium members. From a young age I wanted to be a weather forecaster, inspired by the on-screen forecasts of Heather Reid a.k.a. “Heather with the weather”! I was lucky enough as a schoolchild to meet my hero who encouraged me to enter the profession…and I did! I completed an MSc in Applied Meteorology at the University of Reading in December 2012 which included a thesis on the predictability of Australian rainfall and its drivers. This spawned an interest in the large-scale drivers of weather and climate that persists today. I also have a BSc (Hons) in Earth Science from the University of Glasgow. I previously lived and worked in Singapore as a marine meteorologist primarily supporting the offshore oil and gas industry then as a meteorological analyst for a reinsurance broker. In both of these posts I was able to fulfil my passion of communicating the science behind individual weather events, seasonal weather patterns, and longer term climatic changes. 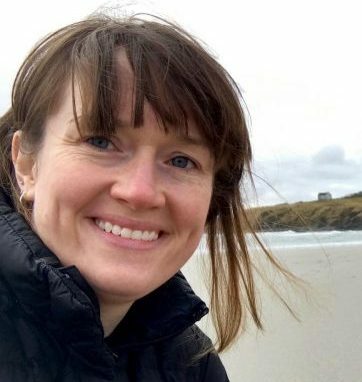 I now live in Orkney where I spend my free time combing the beaches for groatie buckies, exploring the abundant archaeological sites and hunting the aurora - all while trying not to get blown away by the “fresh” winds! The identity of Captain Bob must remain a mystery, but all you need to know is that he (yes, we can confirm it is 'he') is considered one of the best long range forecasters around. Captain Bob's weather interest began back in the 1960's when he spent time in Australia. He returned to the UK in the mid-60's and has been observing and commenting on weather patterns ever since. Captain Bob takes a slightly unorthodox view of weather prediction. He uses computer model output, but also includes much analogues information, sea surface temperature and index techniques to improve his longer range guidance. He is always learning and is keen to expore the unfolding cyclical relation ships within the atmosphere and ocean and to investigate the effect they have on Europe's weather. What we can say is that his fingers are 'green' and he likes nothing more than 'letting off steam'. But will we ever know who Captain Bob really is?